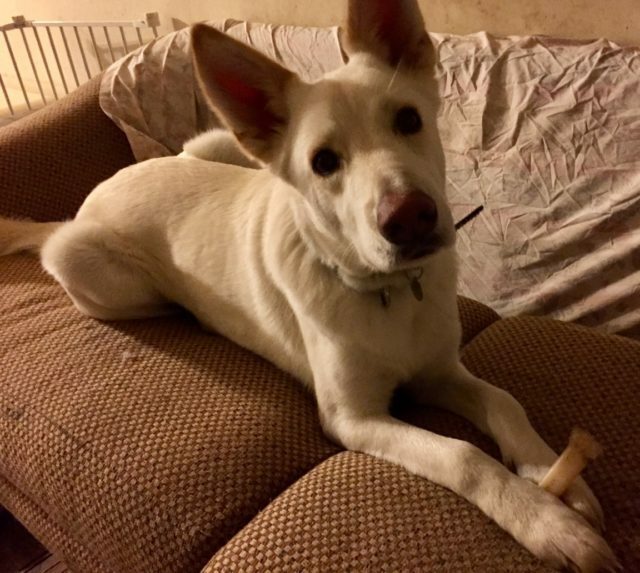 When his owners moved, they abandoned George and left him outside to fend for himself. He took refuge in a small area of trees in between subdivisions. George was so scared that no one could approach him, and he would only eat on garbage days or when a nearby home would put out some food. He lived this way for months, fearful of all people. He would hide in the woods, sometimes laying on lawns just outside of the trees. He was lonely and scared. 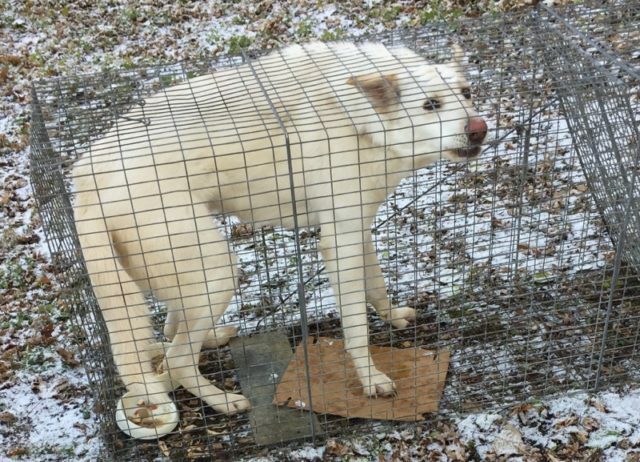 Top Dog Rescue received a call to help, and within a week had live-trapped George with some warm fried chicken as bait. Every purchase you make from the iHeartDogs store benefits shelter dogs in need! GreaterGood.org’s Rescue Bank turns your contributions into nutritious, high-quality meals for shelters! 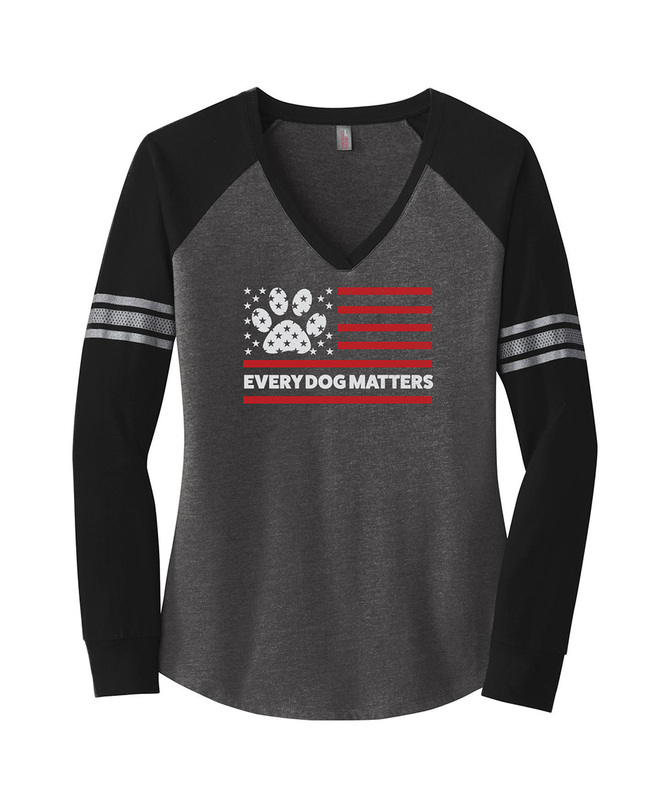 Every Dog Matters Flag Varsity V-Neck Long Sleeve, feeds 7 shelter dogs!